Gibbons is a Geelong born Aussie who is playing in the Minnesota Twins farm system. In 2016 Gibbons played for the Cedar Rapids Kernels, the single A affiliate of the Twins, his fifth season in the Minors. 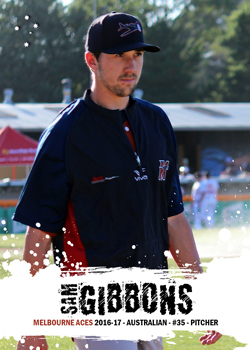 Gibbons stint with the Melbourne Aces during the 2016-17 ABL season was his sixth with the Aces and in the ABL.